Does your morning routine include stopping at your favorite café for a latte, Frappuccino, iced coffee or espresso? Is your barista driving a Corvette, because she’s getting all of your hard-earned money? If so, take heart – with the right staple of ingredients on hand, you can make some great iced coffee and Frappuccino’s in the comfort of your own home, for a fraction of the price you’d pay at a specialty coffee shop. With summer well under way, frozen and iced coffee can be just the thing you need to cool off, so you can enjoy the heat! Not only will you save money, but you’ll save time too – and gas; oh, and the environment! You won’t be idling your engine while in the drive-thru lane. It’s a win-win all around! One of those staples includes flavor syrups, such as Monin coffee syrups. Whether you just want to perk up your morning java, or you want to entertain with flair, these flavored syrups are a must in your pantry. There are a wide variety of flavors, so no matter how discerning your taste buds, you’re sure to find a flavor that you love! In fact, you may find three or four (or more!) to keep on hand at all times. They’re great hot, cold, or frozen! Fruit: Add some fresh or frozen fruit for extra zing! Vanilla: This classic flavoring is great for almost any coffee, hot or cold. Cinnamon: Add some to your drink, then enjoy with a cinnamon bun! Could life get any sweeter? Milk: No latte is complete without it! Condensed or whole, never get caught without it! Liqueur: Irish Crème anyone? This makes a great drink with dessert, whether potluck or BBQ. Coffee: Of course, all great coffee recipes start with, well, coffee. 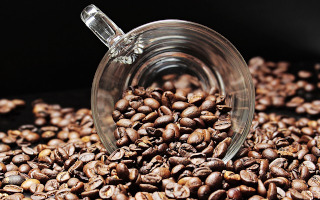 Most experts recommend that you use freshly ground coffee for best results. Of course, the best way to make your favorite iced coffee drinks is by using a professional-grade coffee/espresso/cappuccino maker. You can find one at most department stores, or online at your favorite retailer. They are well worth the investment! One of the simpler recipes, but definitely not boring! Vanilla and coffee make a classic combo; once you have this mastered, you can add other ingredients, like cinnamon or even a bit of cocoa. This is perfect for a warm summer evening; start with espresso and add a scoop of your favorite ice cream or gelatin; for extra flavoring, add some cinnamon sticks. Simply brew some coffee, let it cool; add ice and Irish Crème (or your favorite liqueur) and enjoy! Great for drinking by a bonfire, or by the pool. Make your favorite coffee, let it cool and add your favorite fruit, plus syrup for a delicious and relaxing drink to end your day! The fact is, there is no wrong way to drink coffee! Let your imagination run wild and experiment with your favorite foods and flavors. On average, Americans drink 3.1 cups of coffee a day; that means you have plenty of opportunities to try out your new recipes on family and friends!